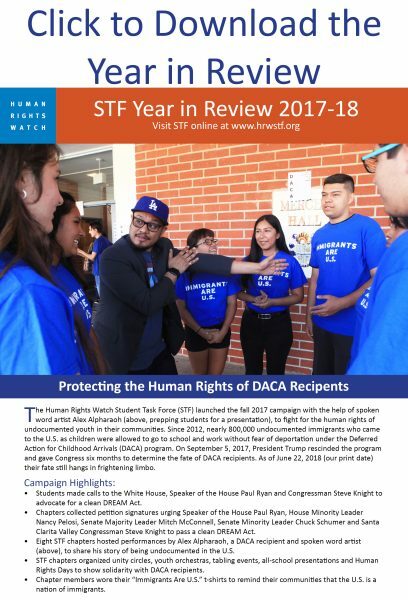 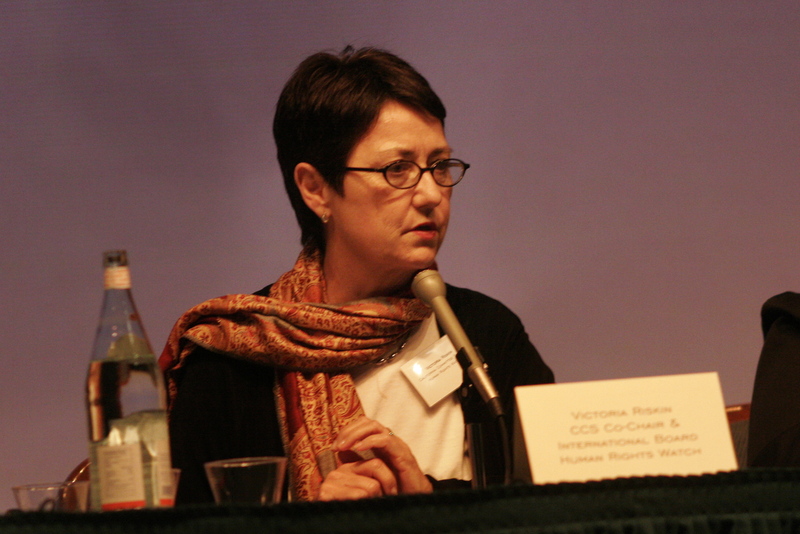 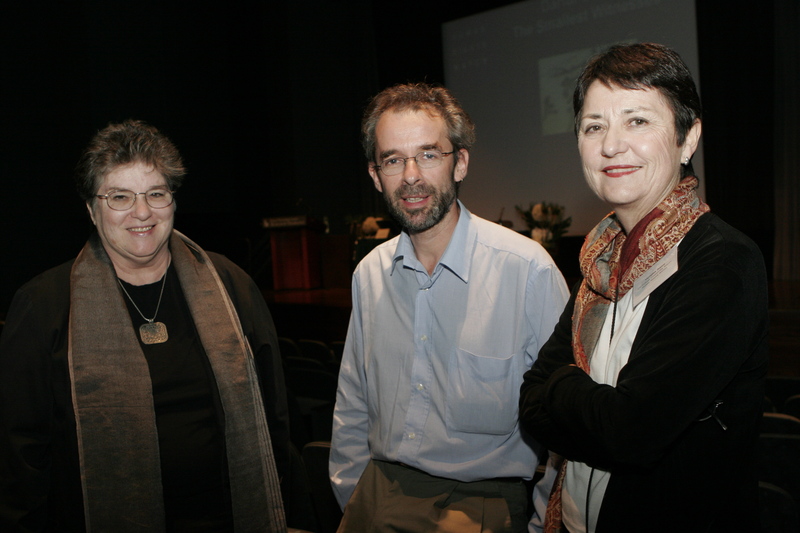 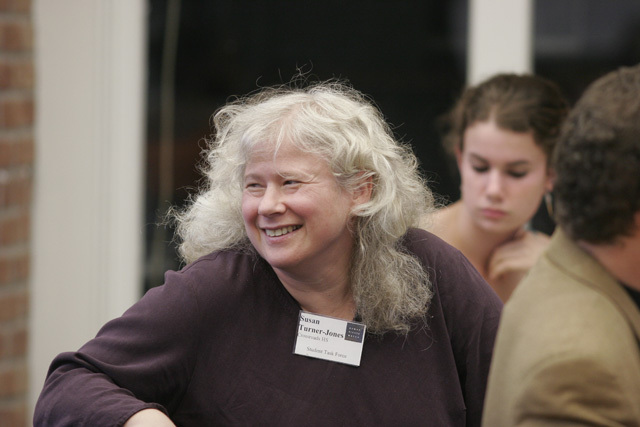 Throughout the year, the STF has done far more than just the large events profiled here. 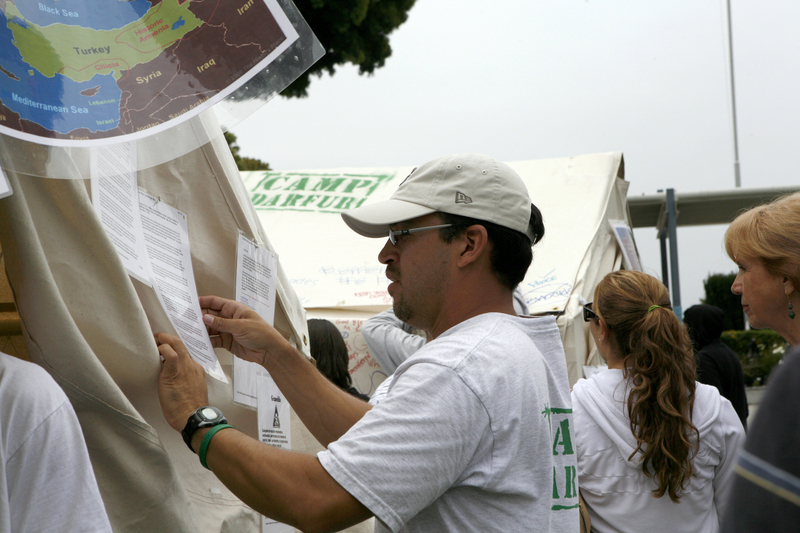 With every meeting the STF found new ways to raise awareness and invite others to action. 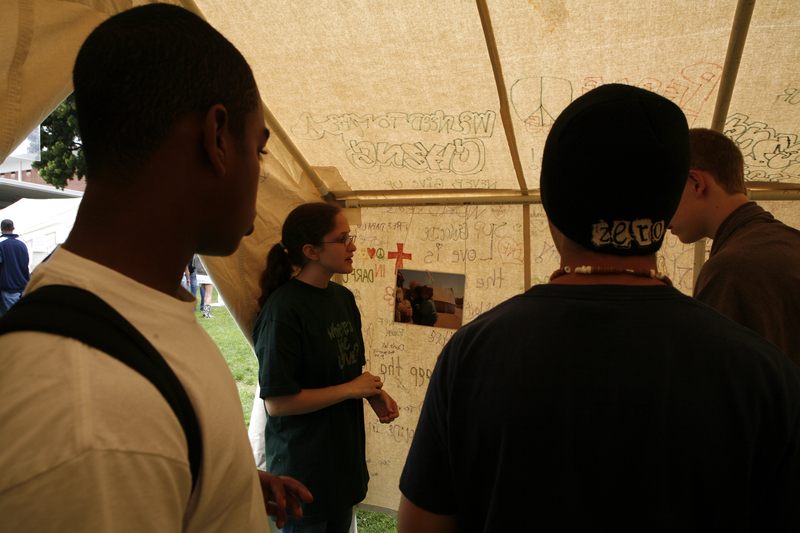 Here is a graphical representation of the outreach the STF made in its surrounding community and across the nation. 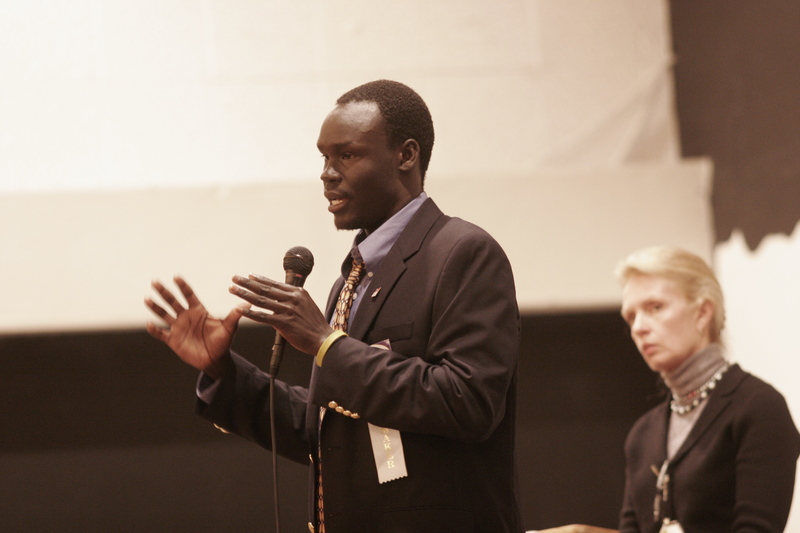 June 8, 2006: Gabriel Stauring returned to Palisades Charter High School, this time with his traveling refugee camp, Camp Darfur. 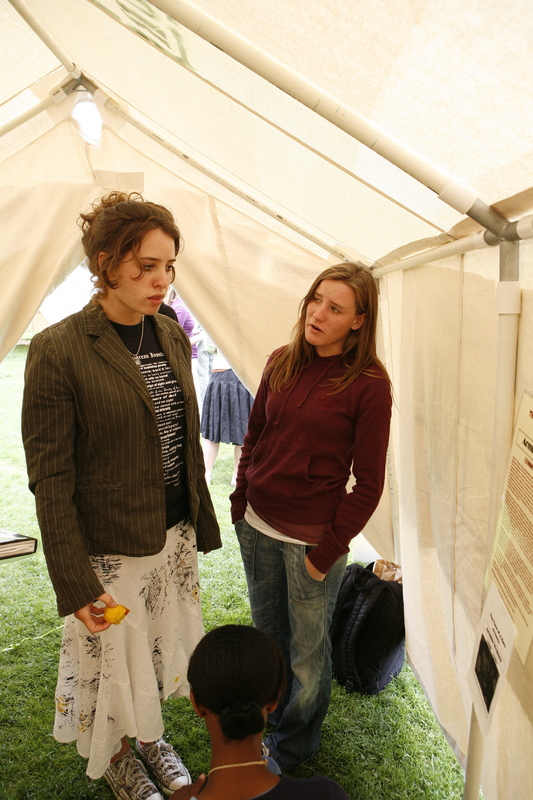 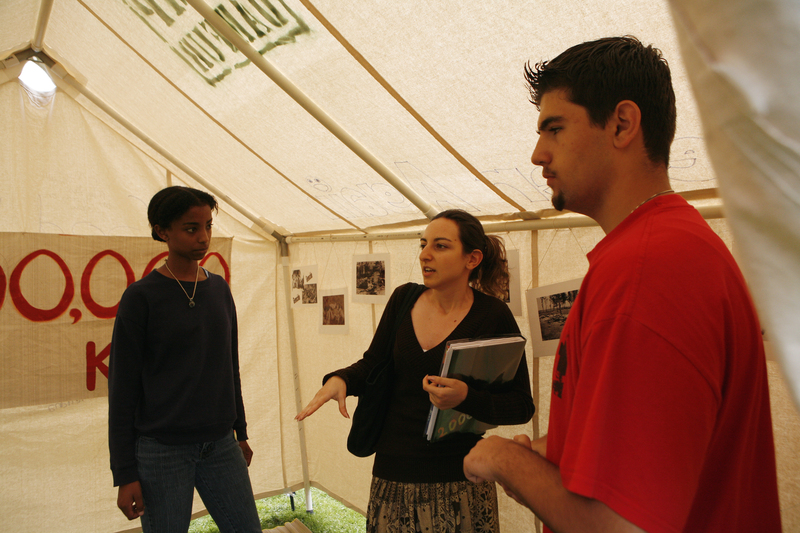 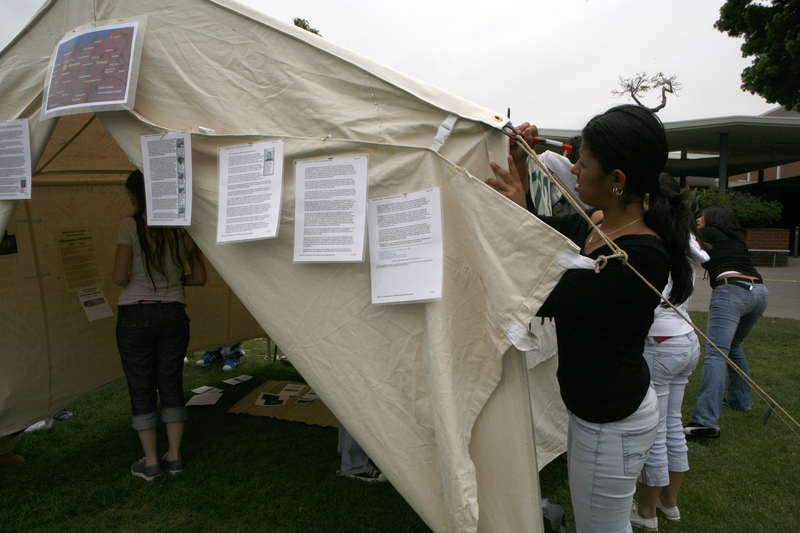 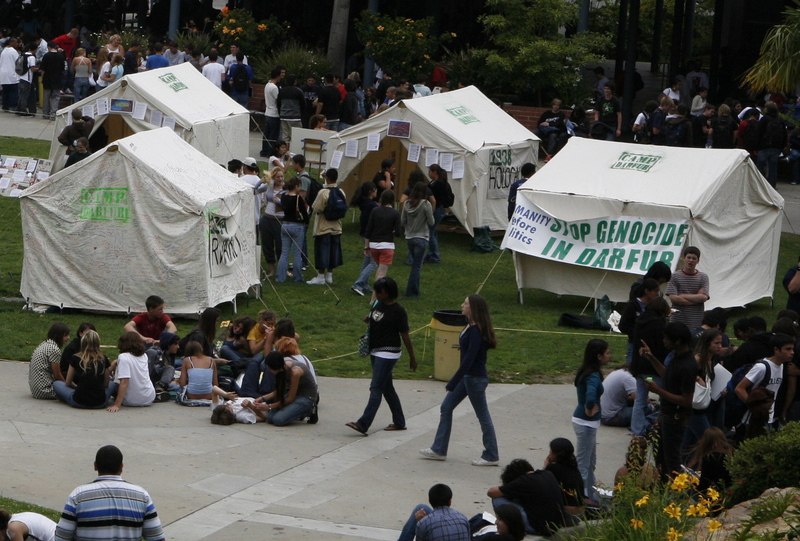 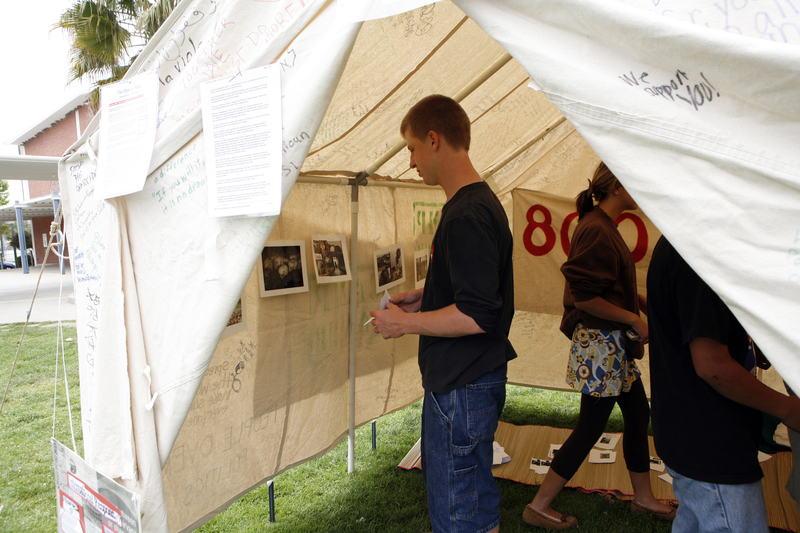 Assembled in Pali’s quad, the tents of Camp Darfur each contained information on one of five genocides of the past century, the Armenian Genocide, the Holocaust, the Cambodian Genocide, the Rwandan Genocide, and the current crisis in Darfur. 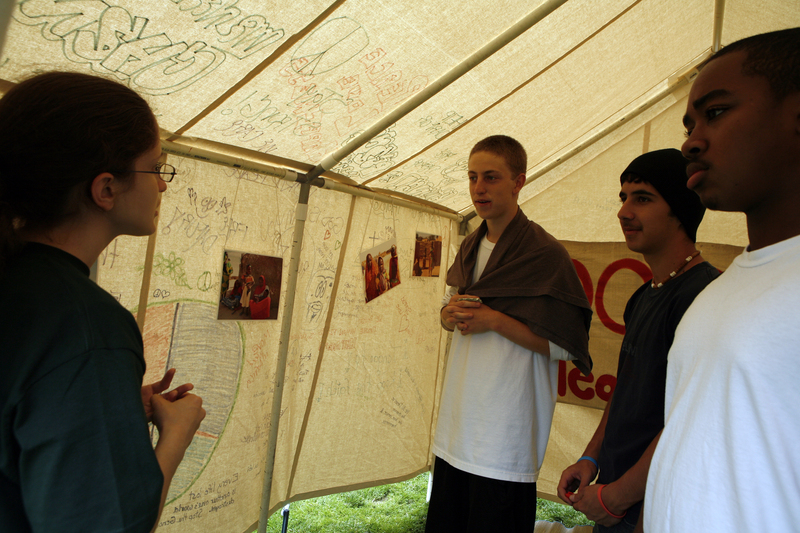 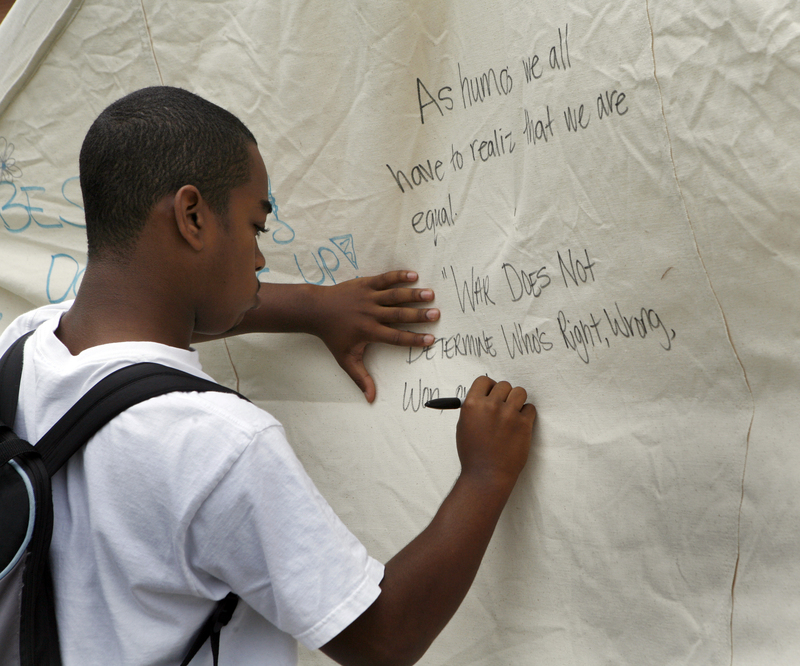 Throughout the day groups of students had the chance to learn about these events and were invited to write messages of hope on the canvas of one of the tents. 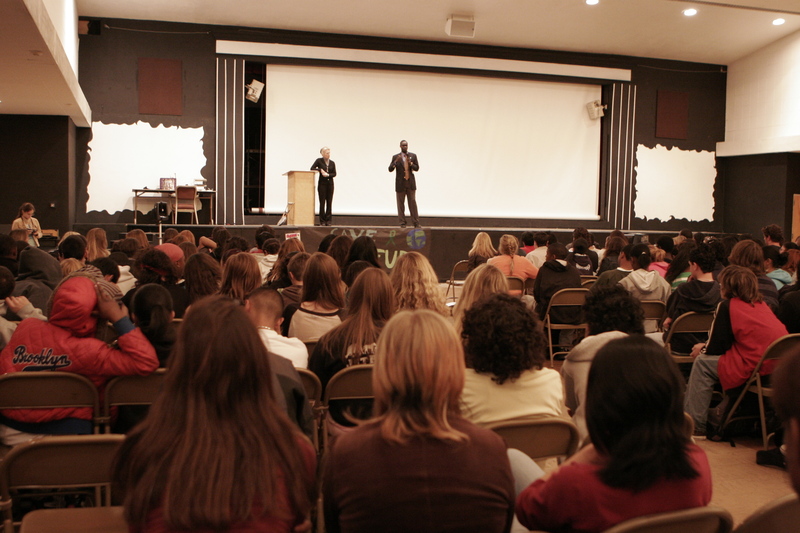 All School STF February meeting at Palisades Charter High School. 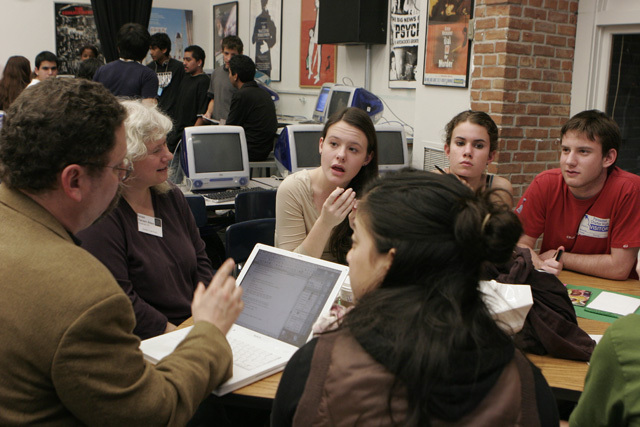 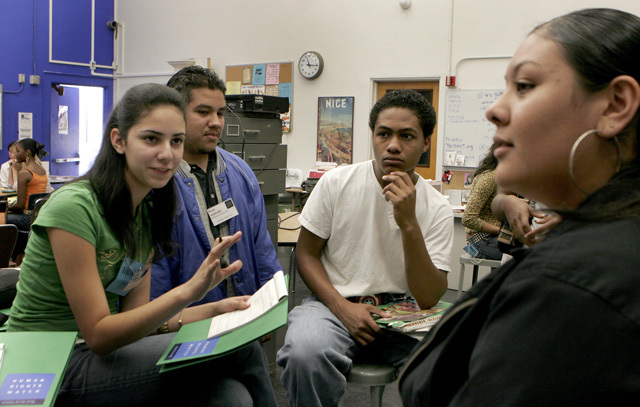 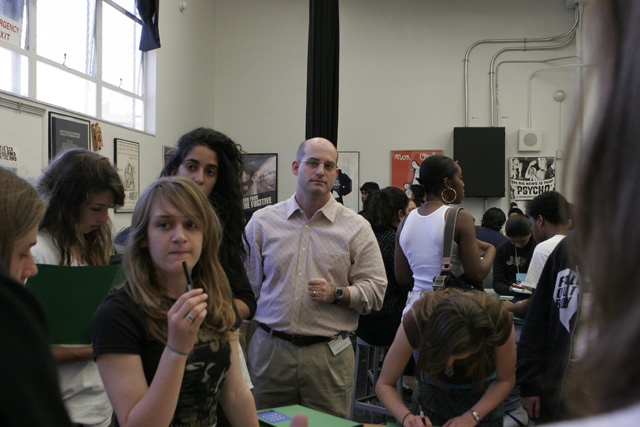 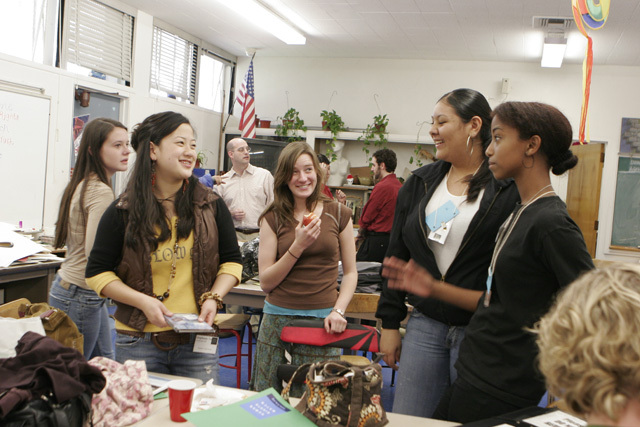 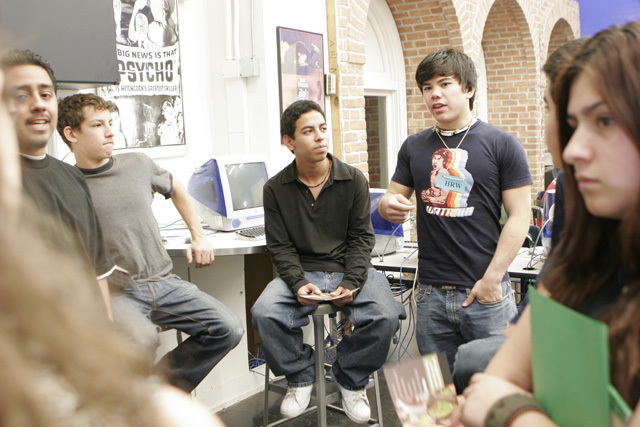 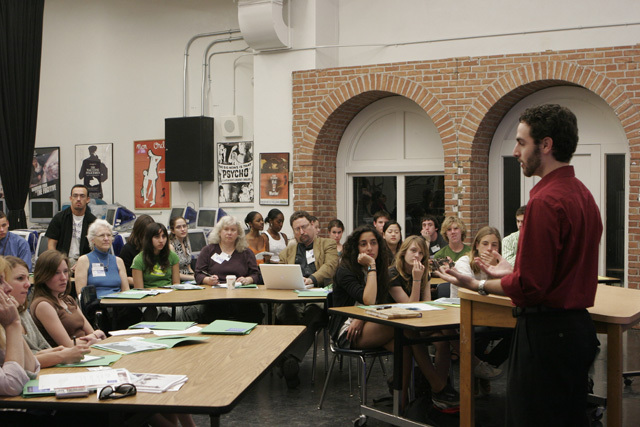 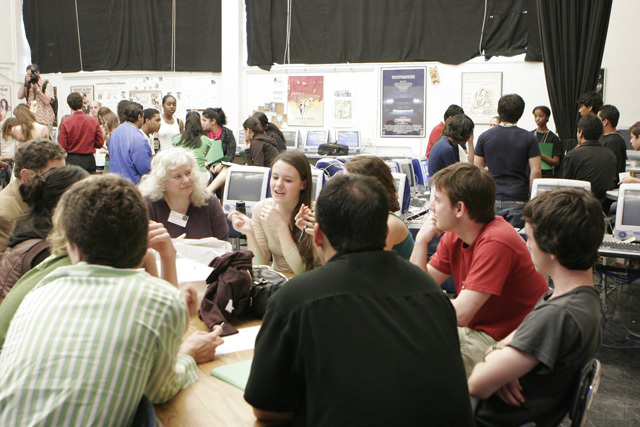 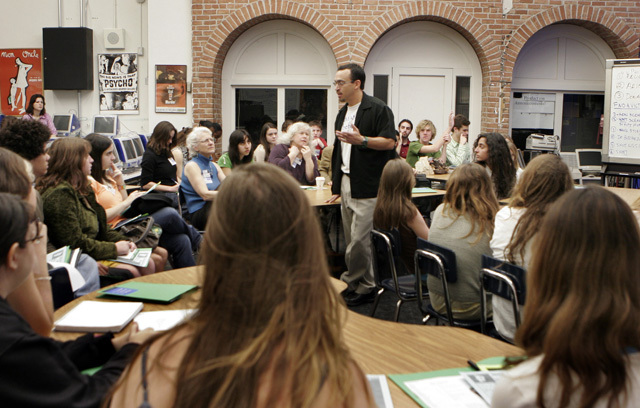 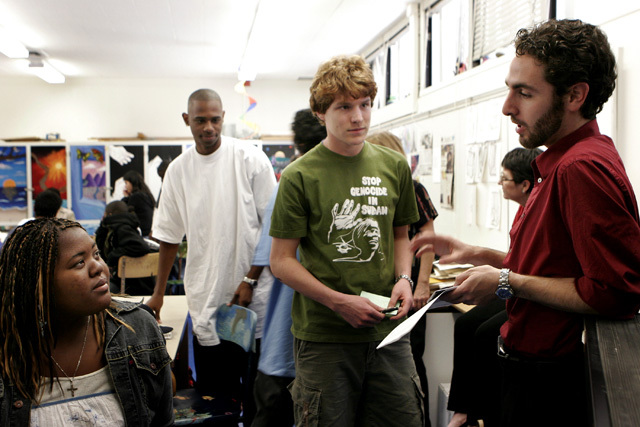 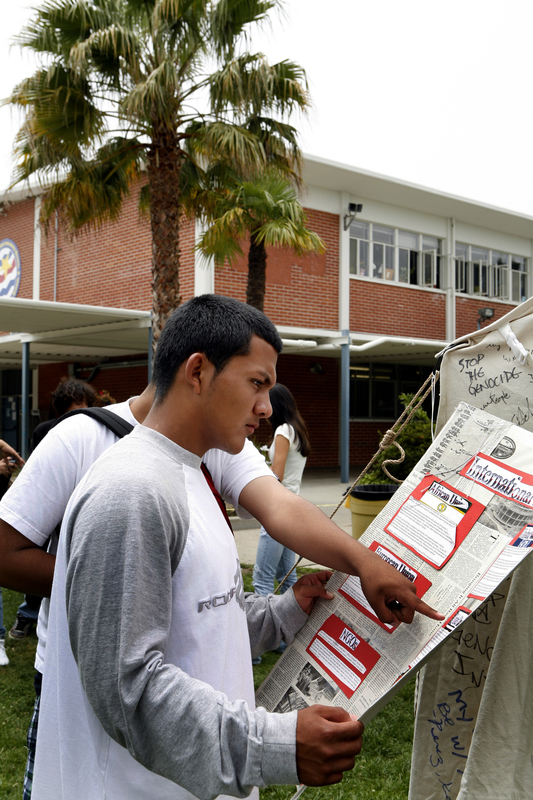 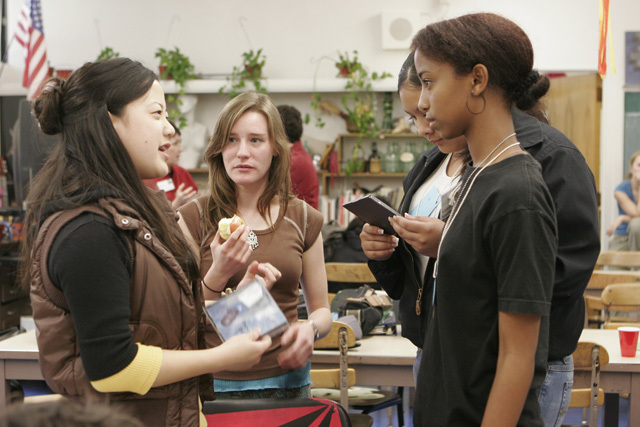 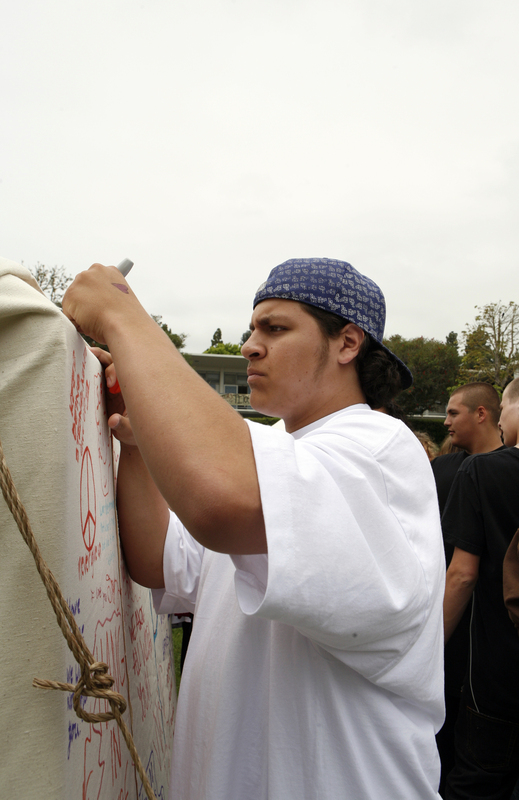 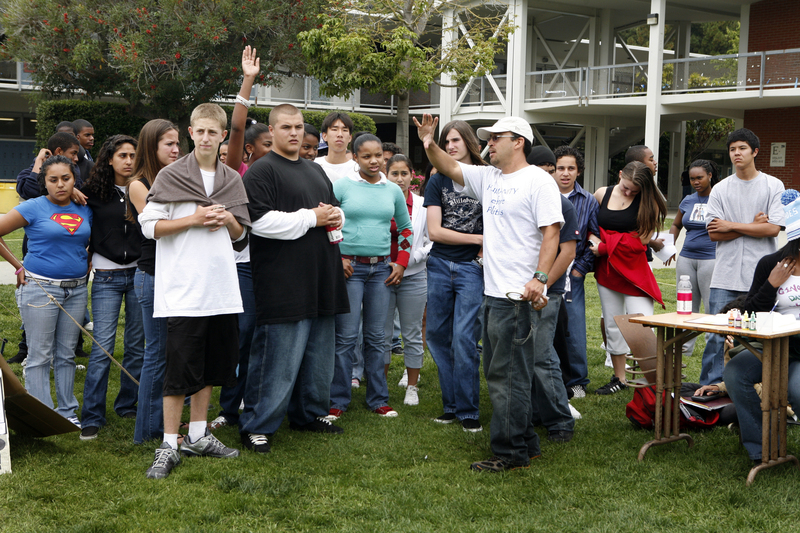 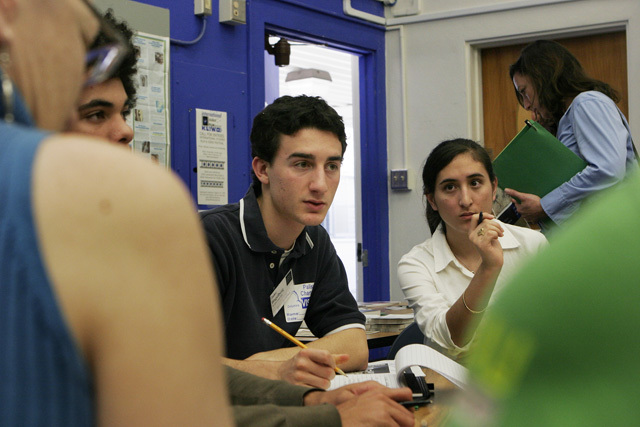 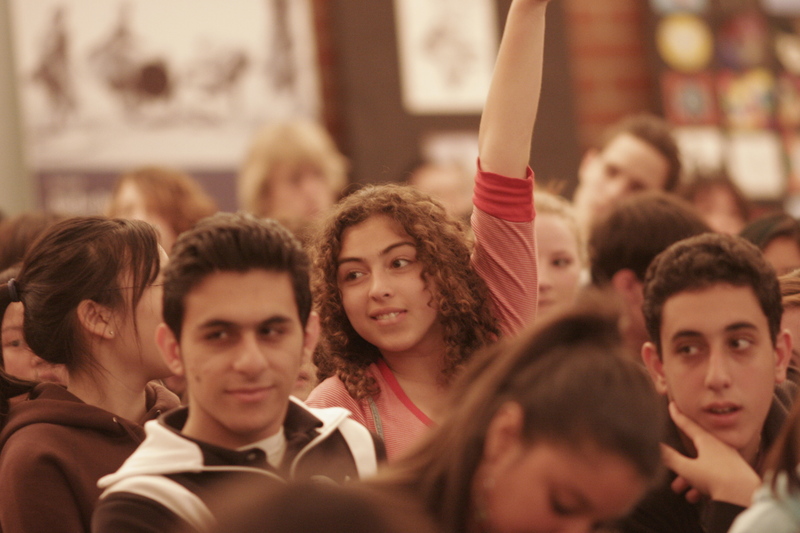 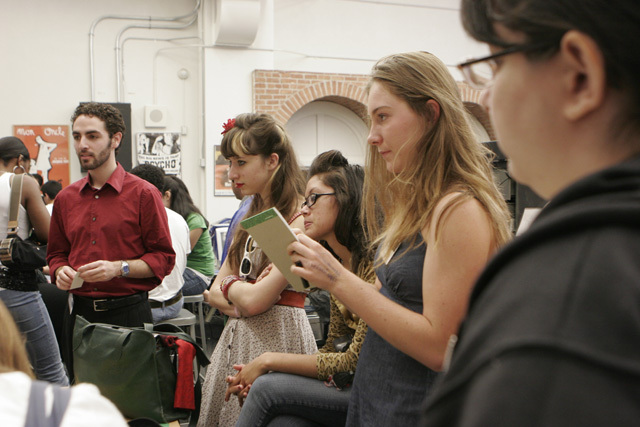 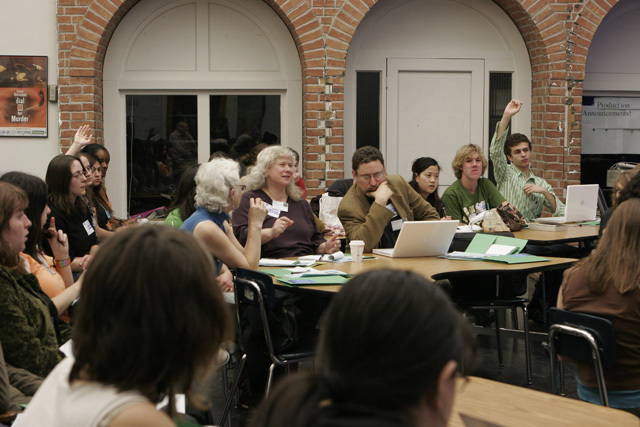 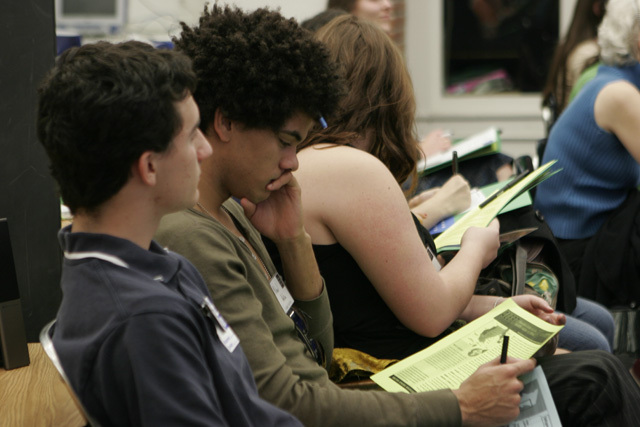 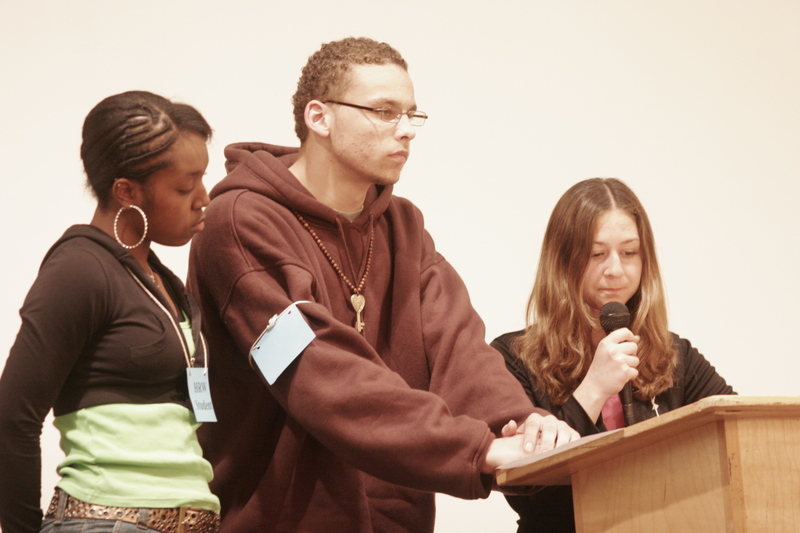 February 9, 2006: Palisades Charter High School hosted this second all-school meeting. 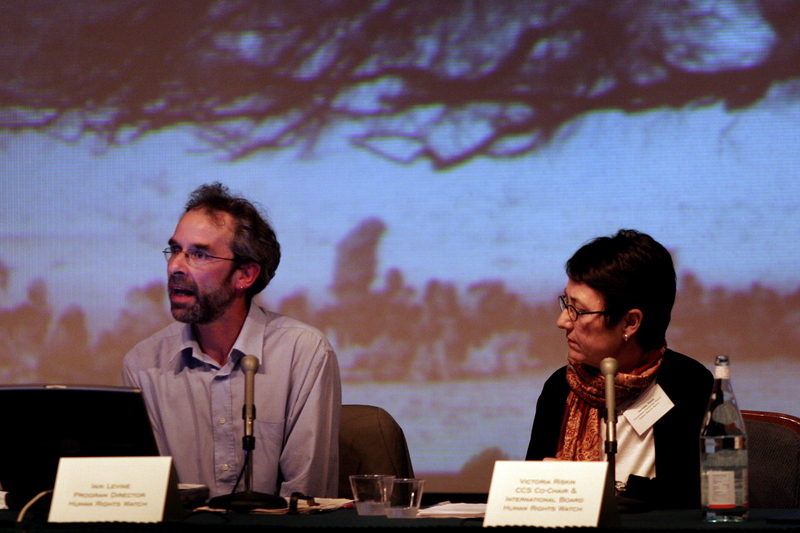 Joining the STF were guest speakers Gabriel Stauring, who recently returned from Chad, and Mark Hanis, of Genocide Intervention Net. 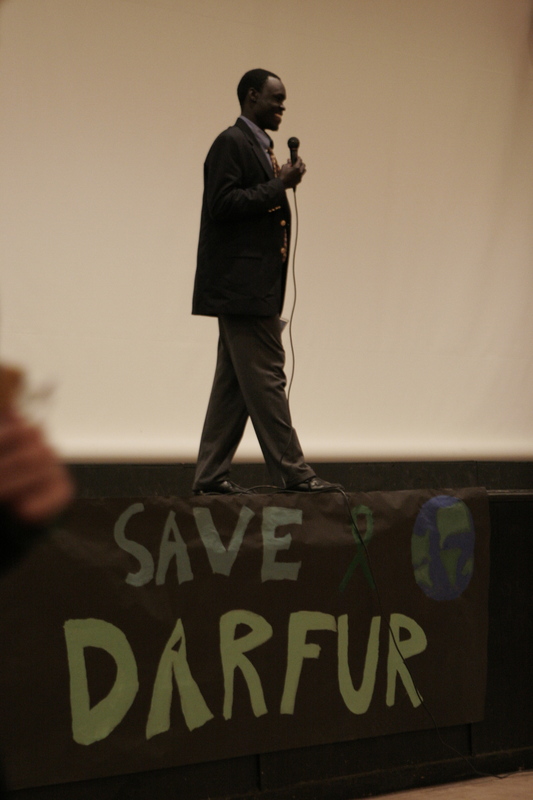 This meeting allowed the STF to hear personal accounts of the crisis in Darfur, setting the tone for the second half of this year’s campaign. 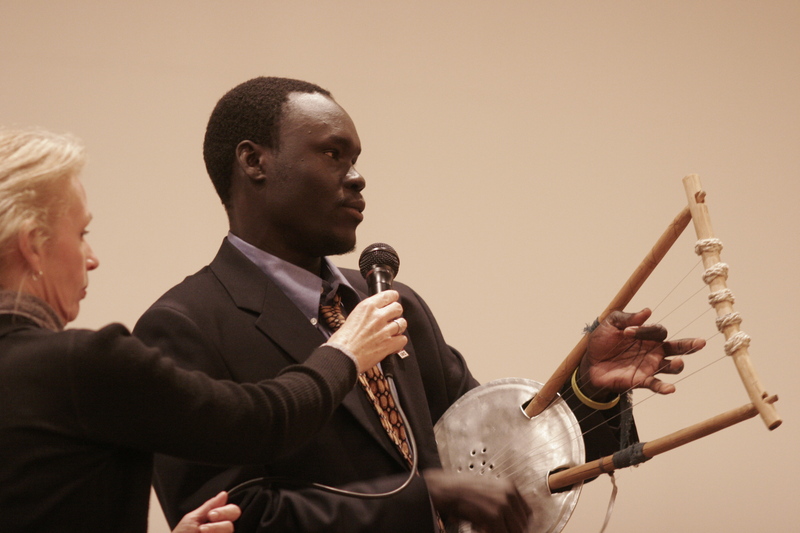 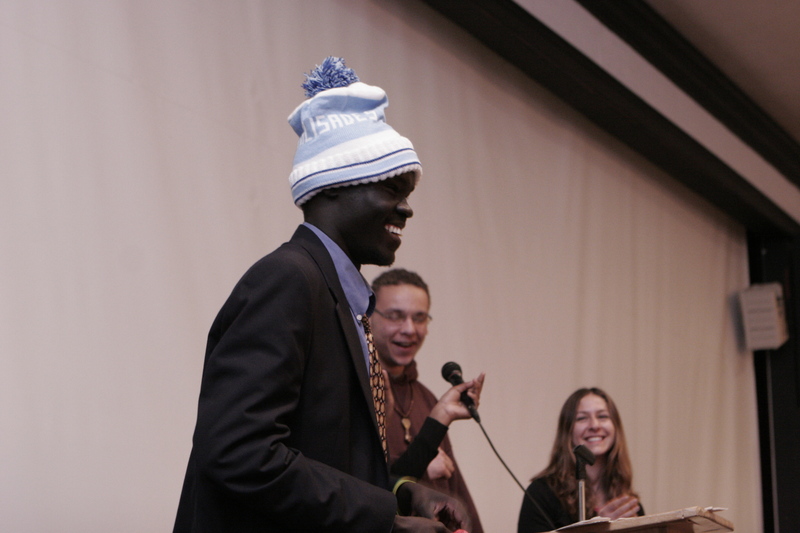 This year the STF was honored to welcome Alephonsion Deng, one of the Lost Boys of Sudan, to speak at two of our STF schools. 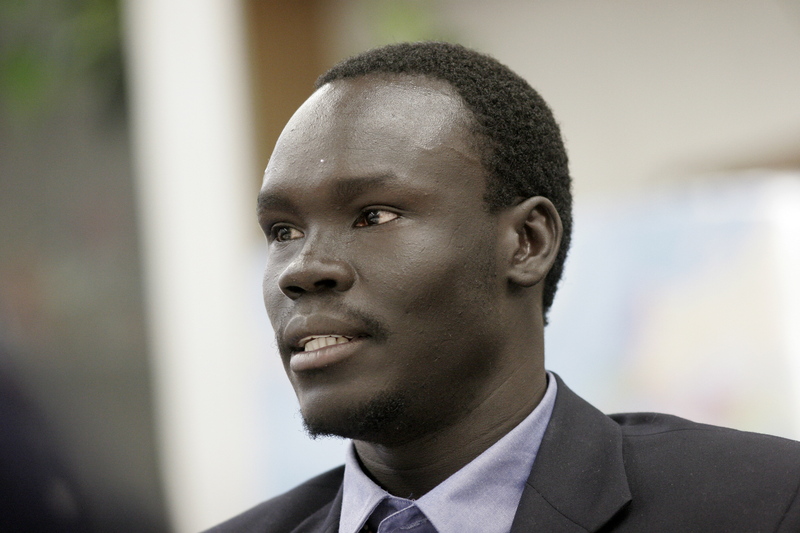 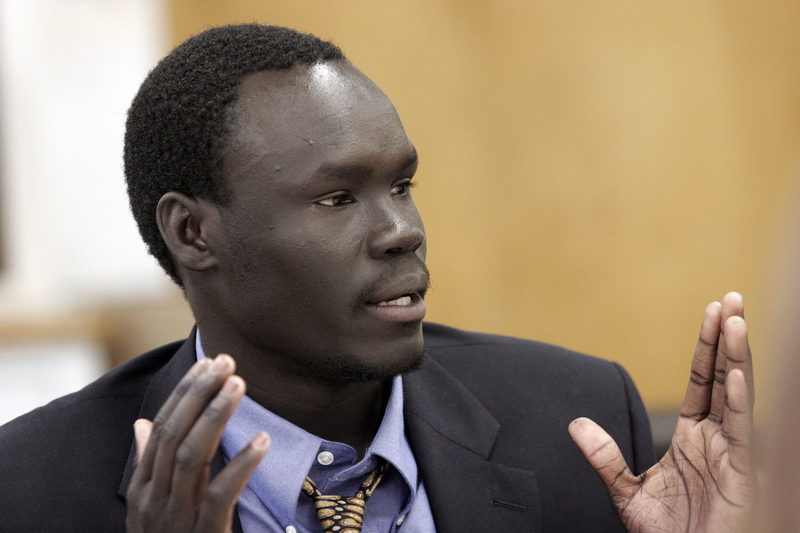 Deng, a refugee of the North-South conflict in Sudan, and co-author of They Poured Fire on Us from the Sky, gives testimony to the effects of war on a child, and is an example of what has been happening to hundreds of thousands of people in Darfur. 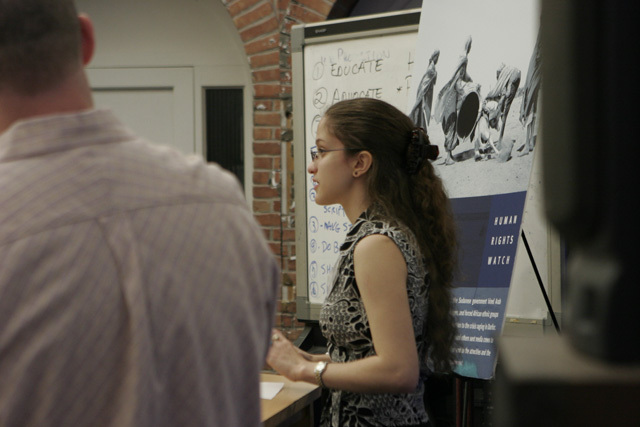 December 21, 2005: The Student Task Force met with Congressman Henry Waxman to discuss the crisis in Darfur, and what he could do. 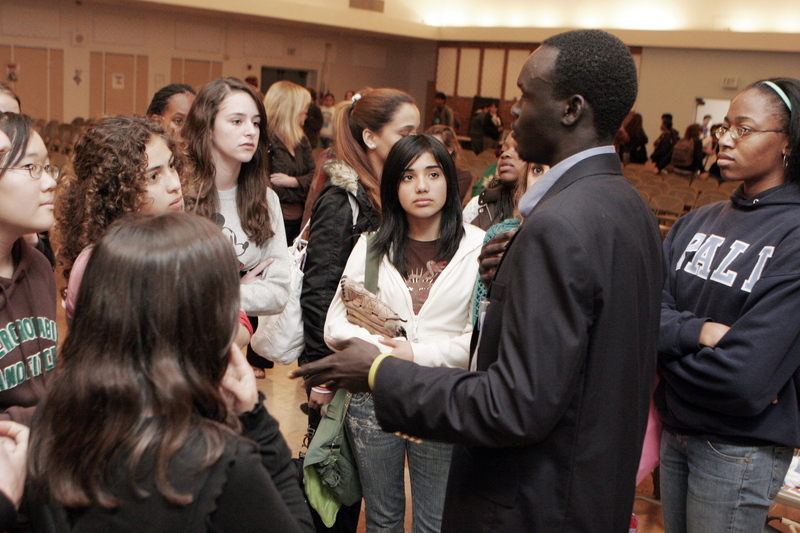 In the hour-long meeting students asked him to take a stronger leadership role in funding of the African Union Mission in Sudan (AMIS). 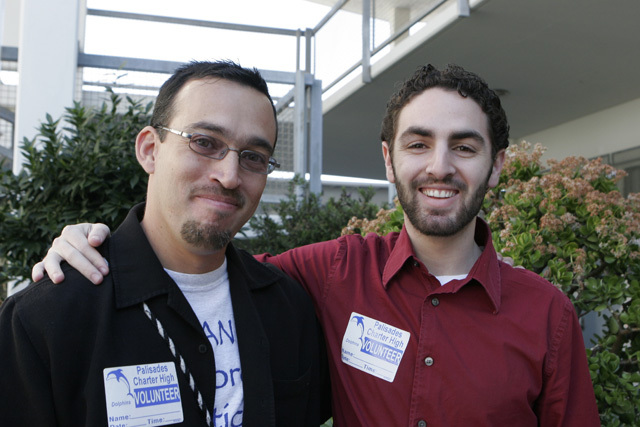 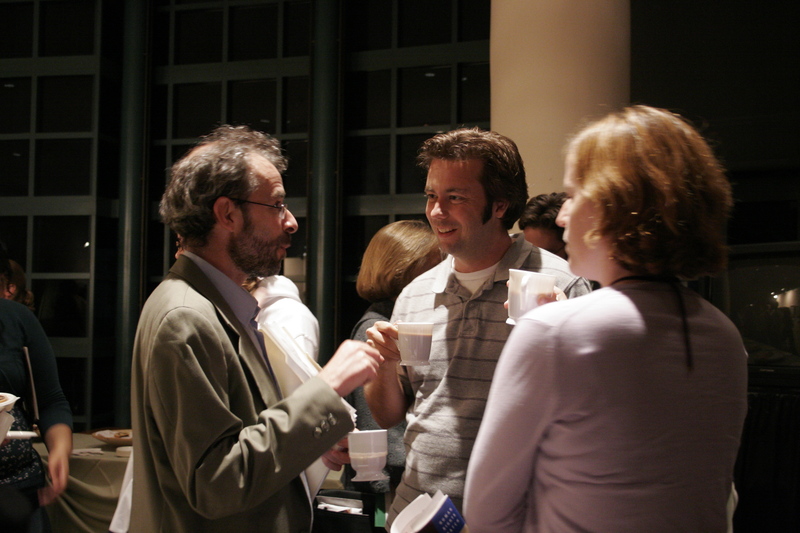 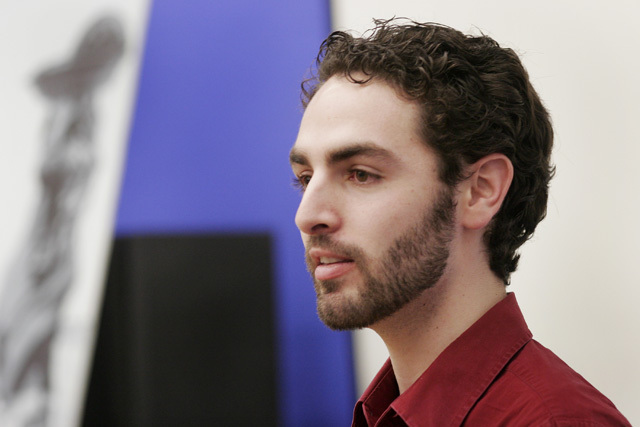 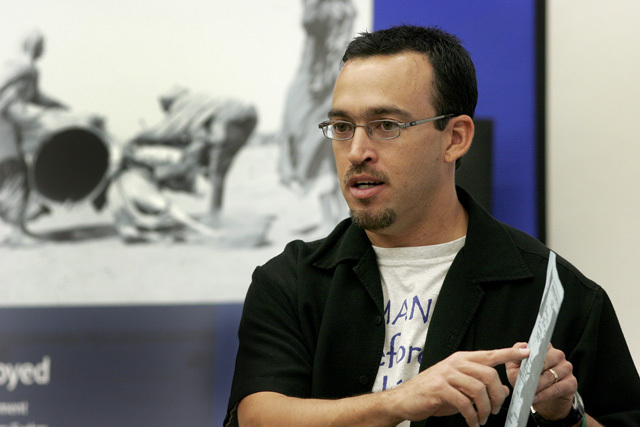 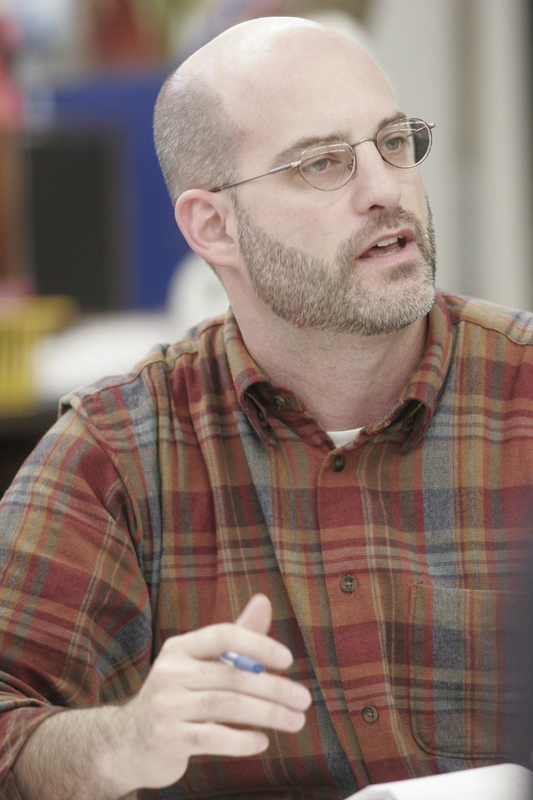 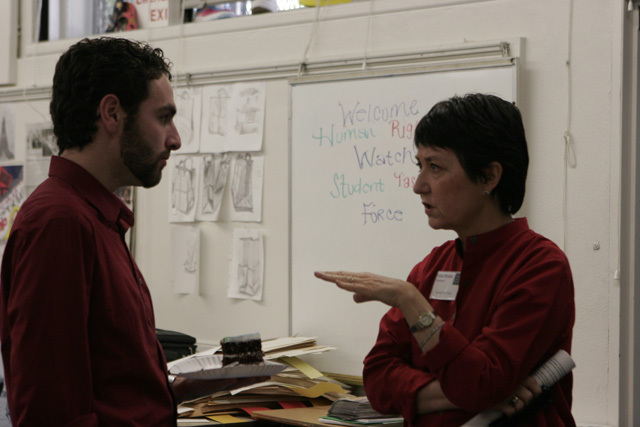 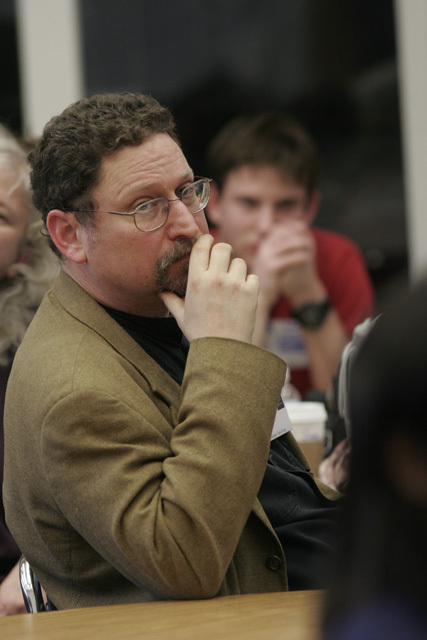 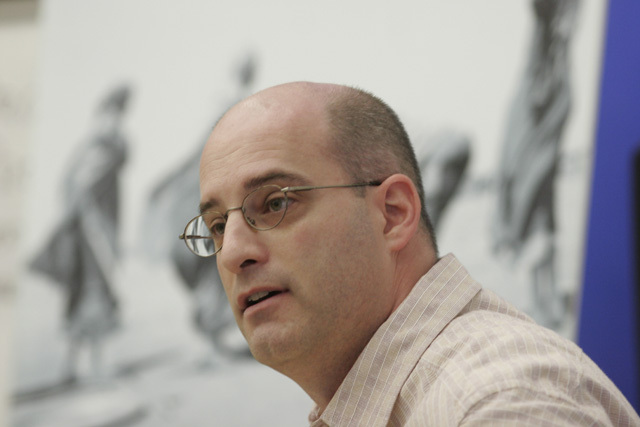 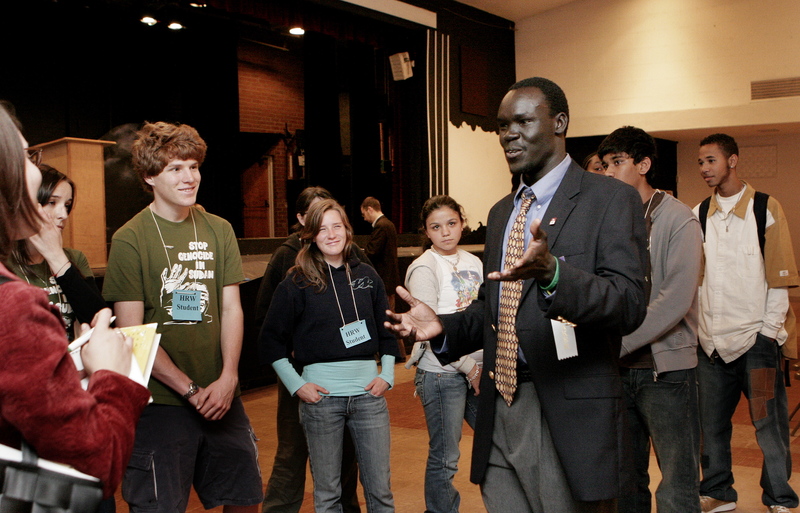 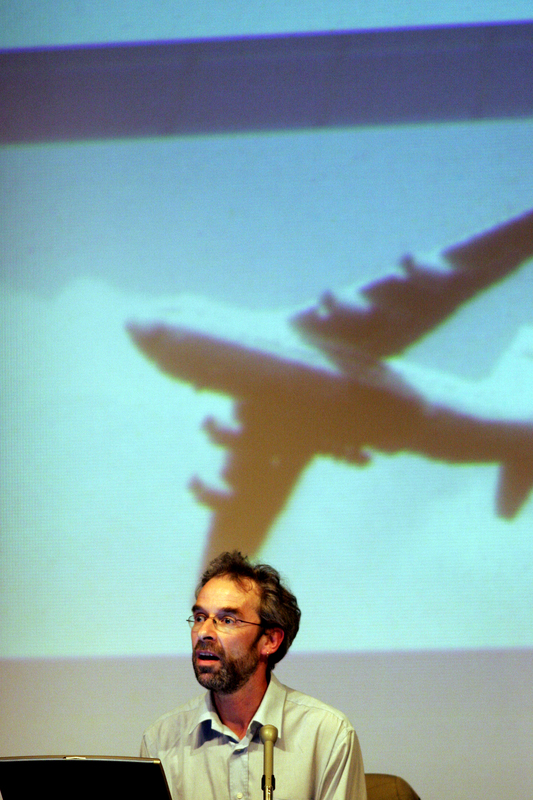 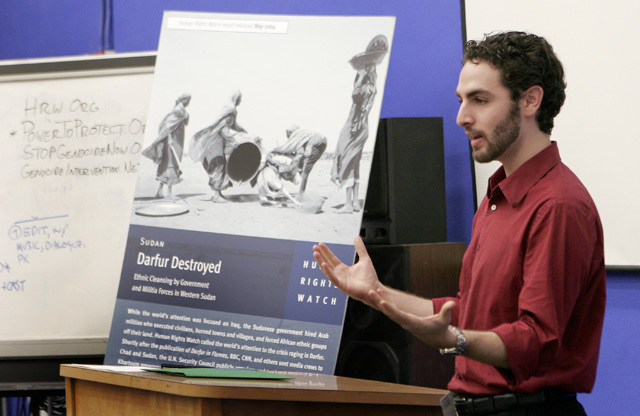 November 10, 2005: Gabriel Stauring, co-founder of StopGenocideNow.org, met with the Palisades Charter High School STF to discuss his upcoming trip to the Darfur refugee camps in Chad. 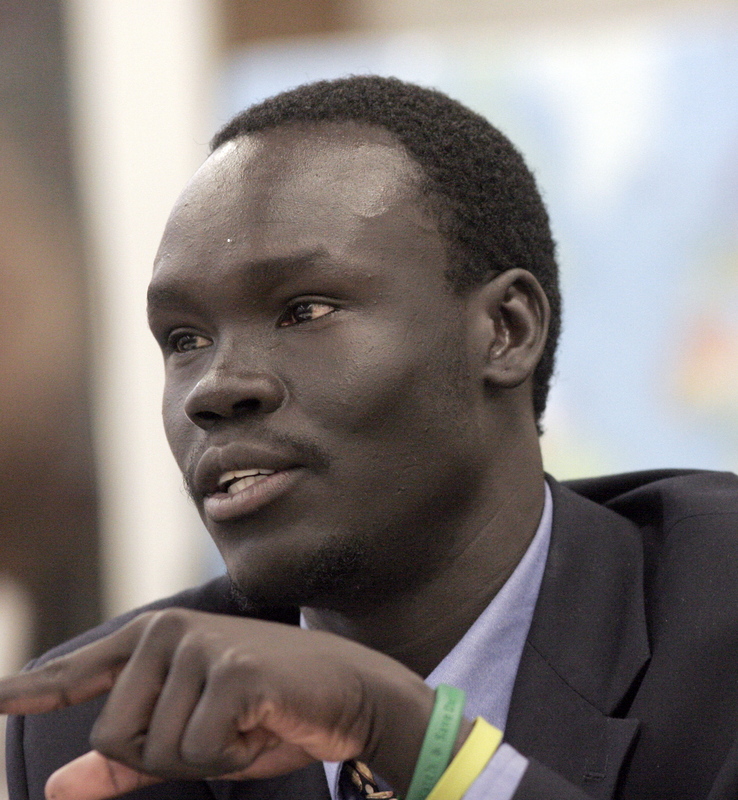 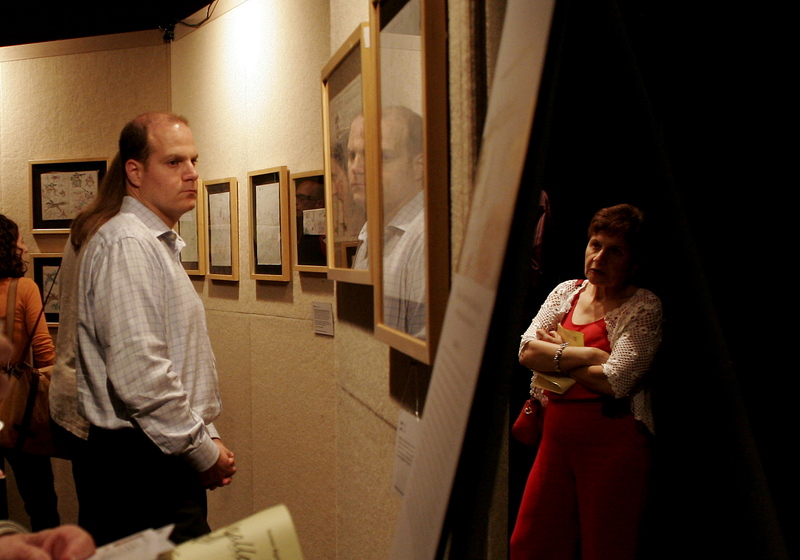 The STF then had the chance to watch his progress through the camps via daily video posts to his website. 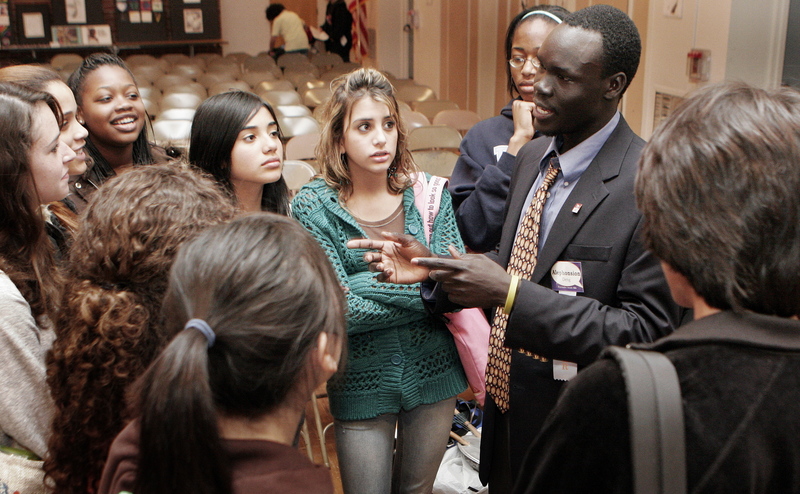 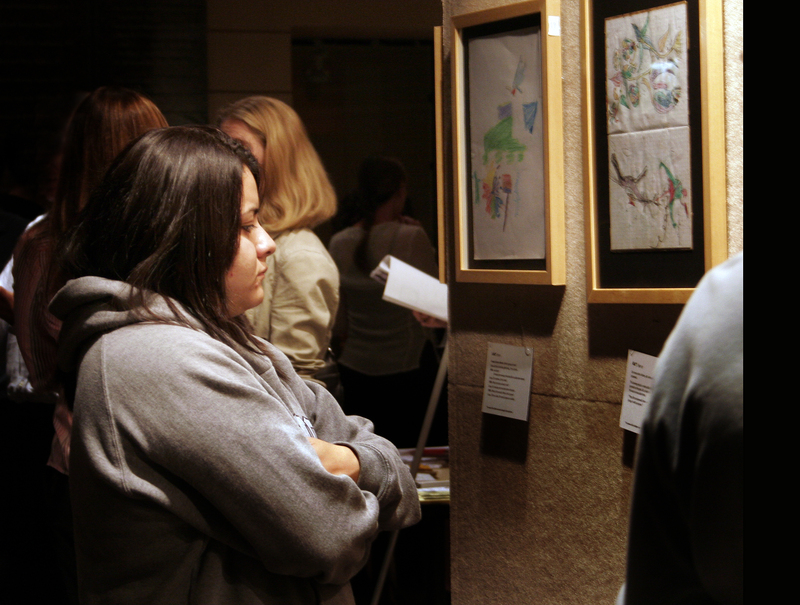 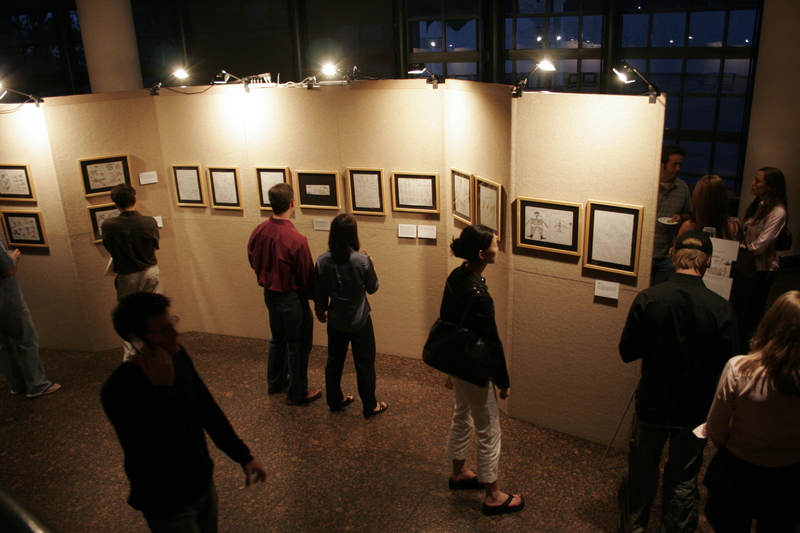 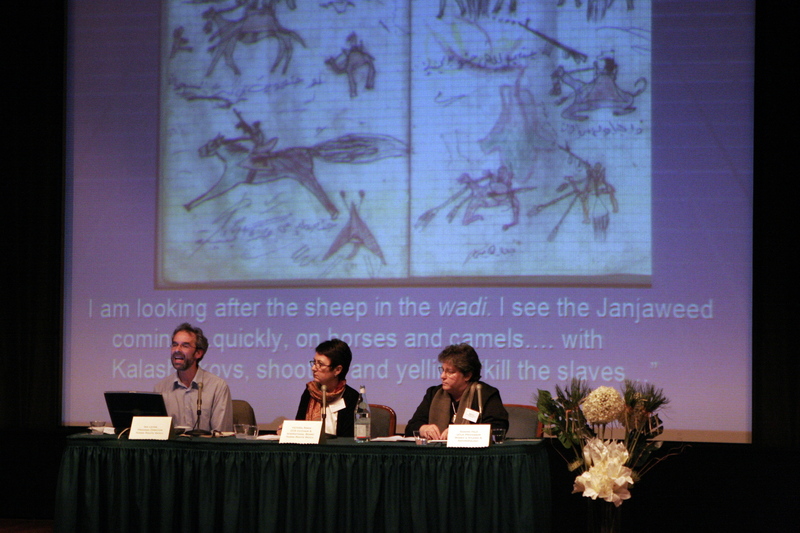 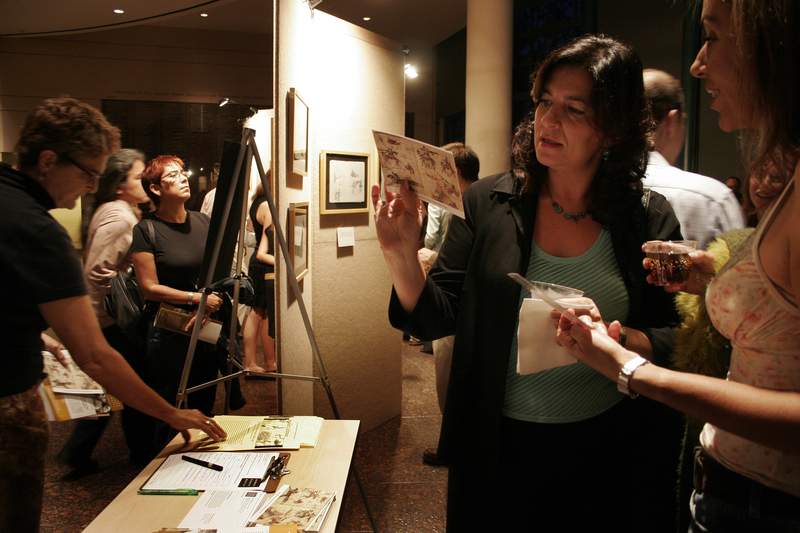 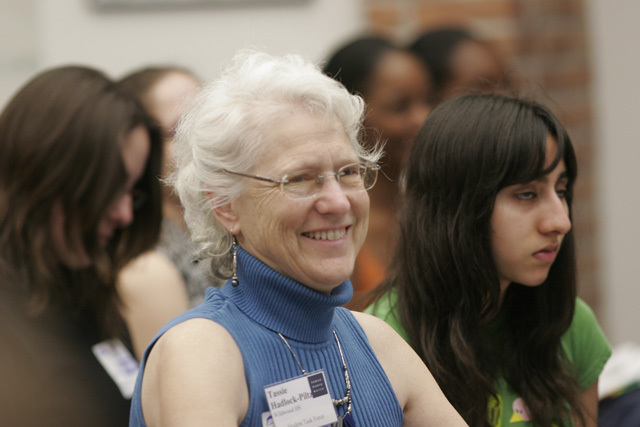 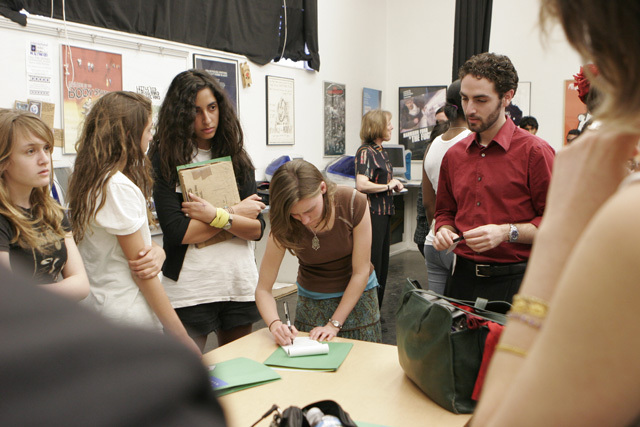 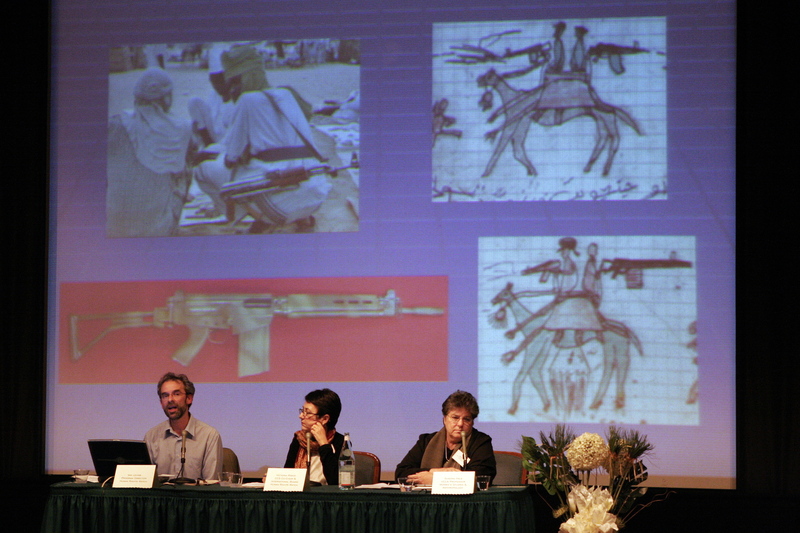 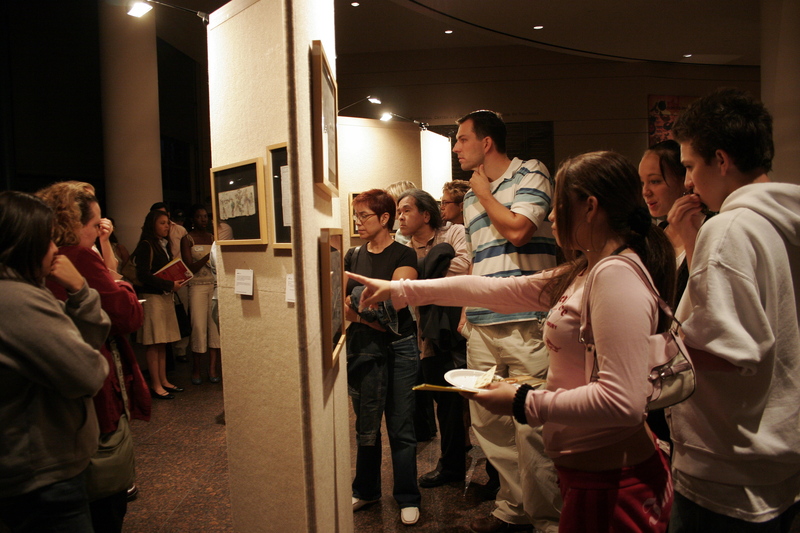 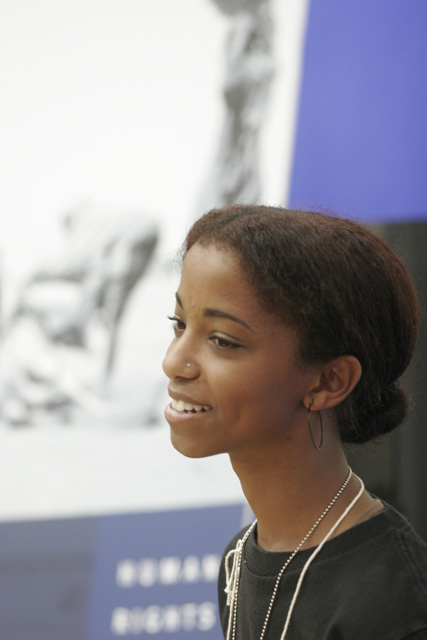 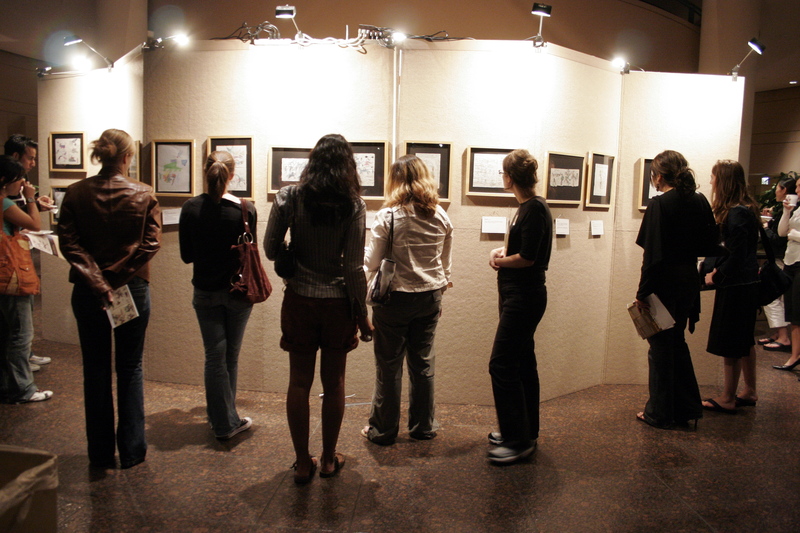 September 22, 2005: The exhibition of drawings by children in Darfur, held at the Museum of Tolerance, served as a backdrop for the first all-school meeting of the year for the Student Task Force. 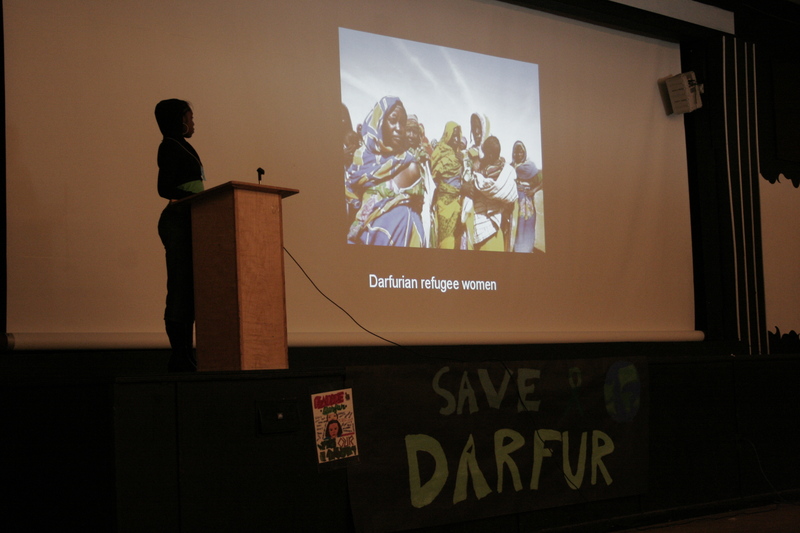 This event allowed students to meet and get familiar with the crisis in Darfur and the goals of this year’s Student Task Force. 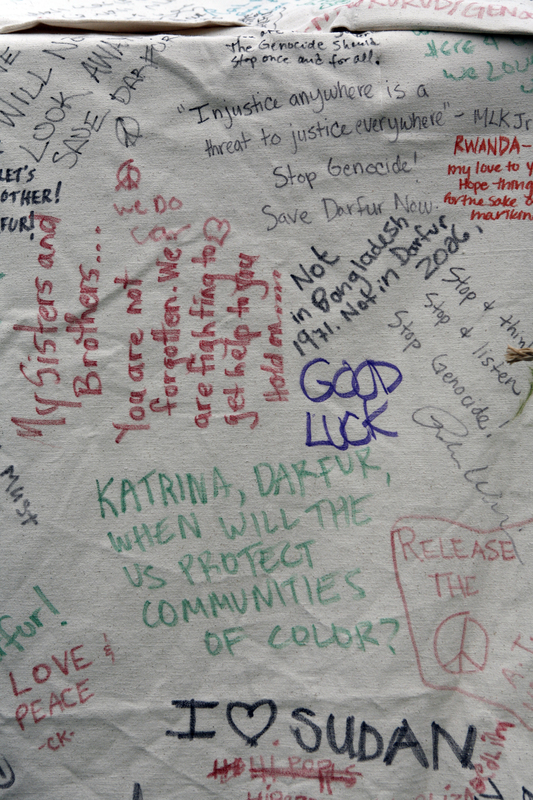 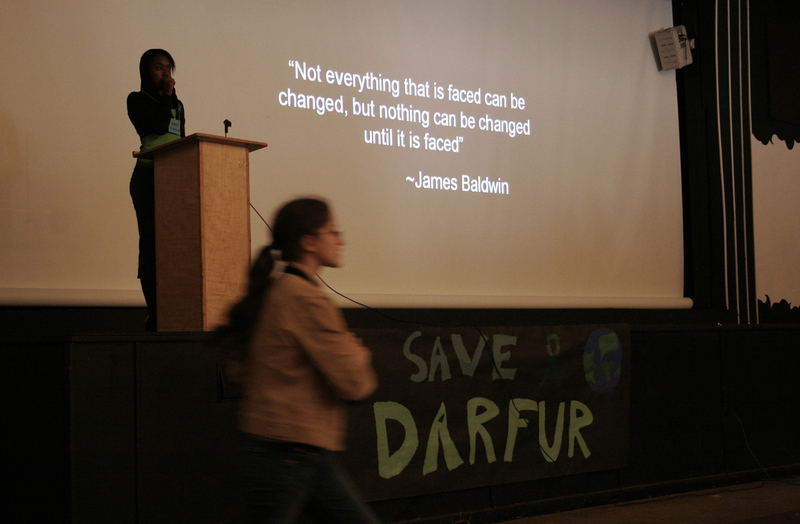 STF joined a national campaign to stop the genocide in Darfur. 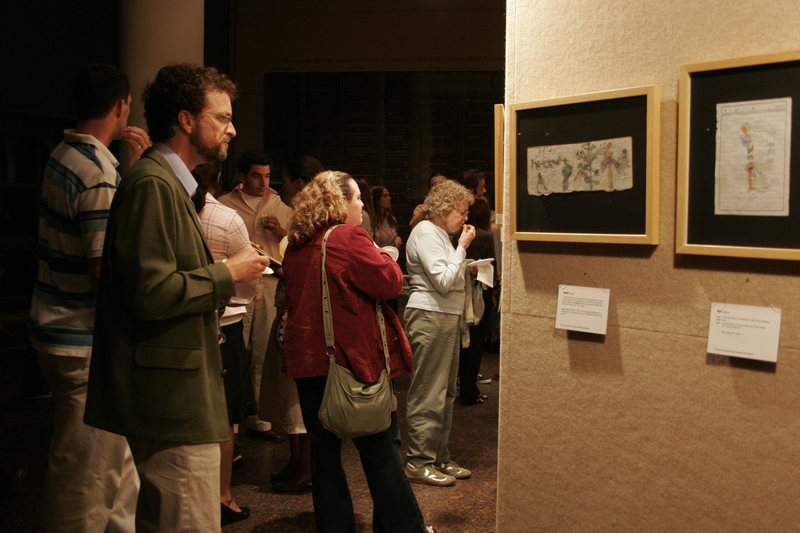 The goal was to deliver 1,000,000 postcards to President Bush on April 30, 2006 at a rally in Washington, DC. 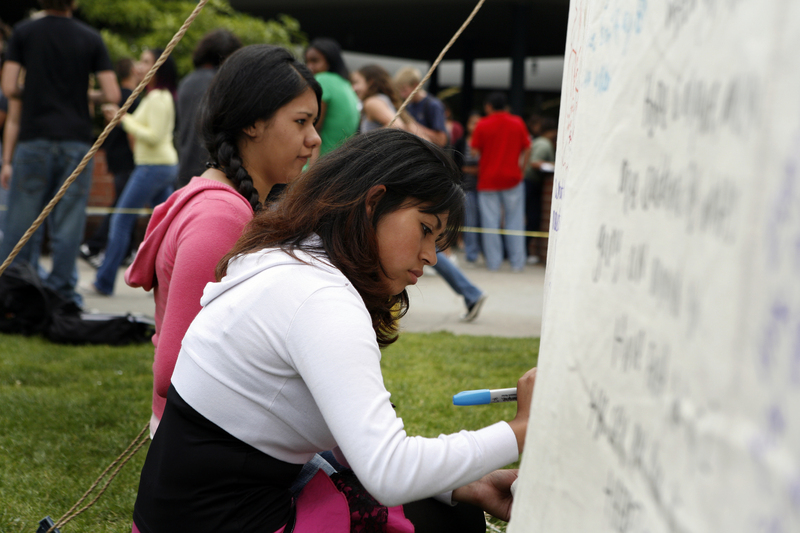 All Student Task Force schools took part in this campaign and have used it to reach out into their communities, spread the word and urge government action. 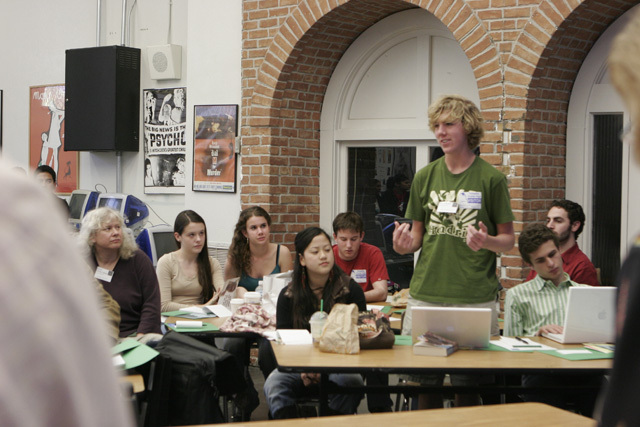 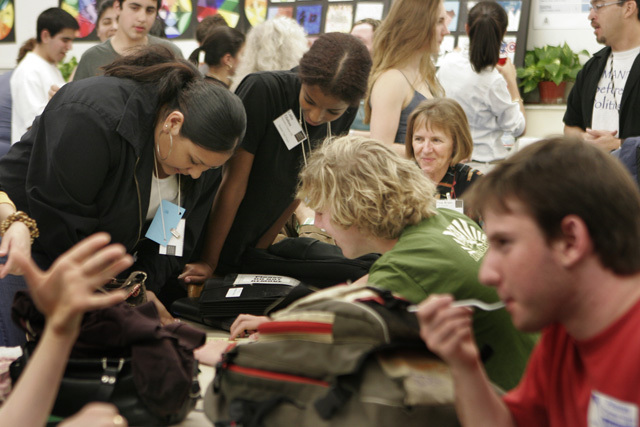 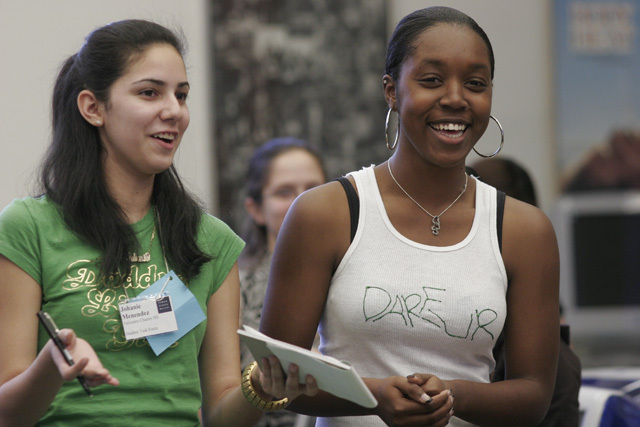 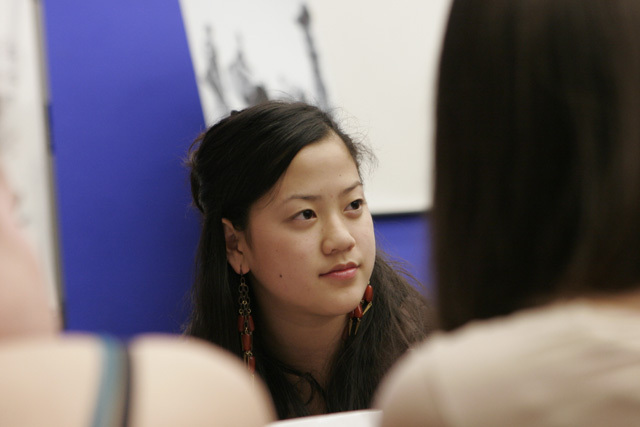 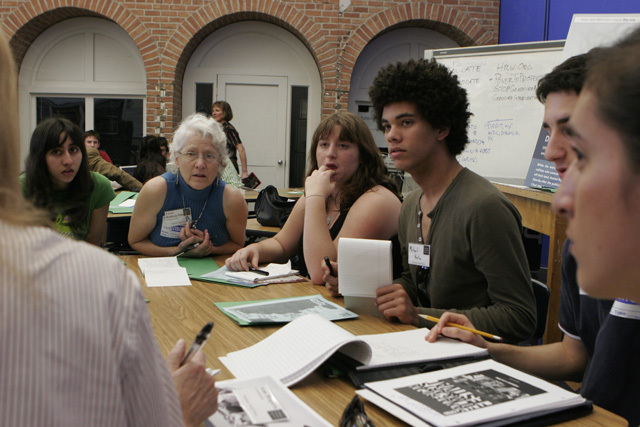 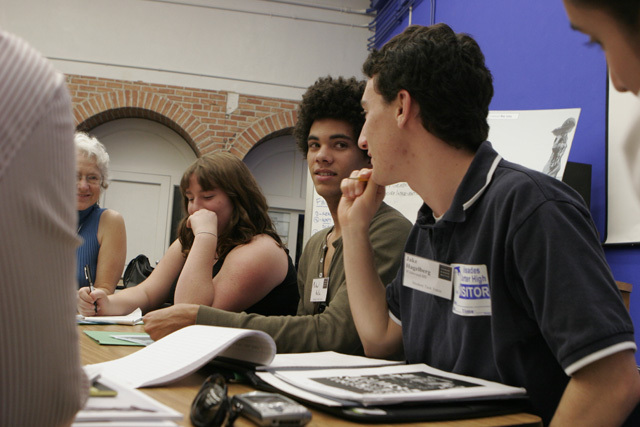 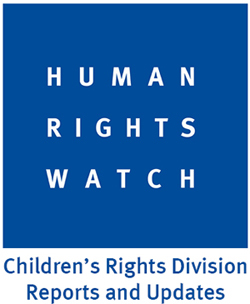 During the 2005-2007 school years, the Student Task Force chose the theme Children in Conflict. 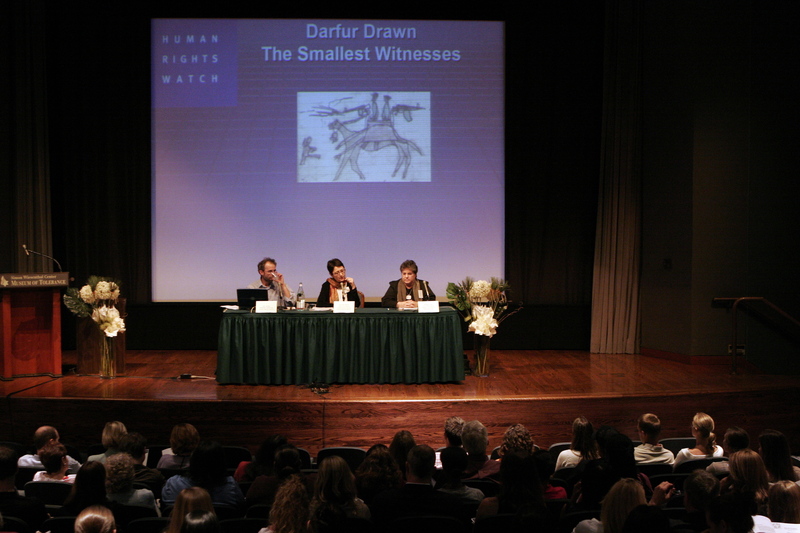 Focusing on the effect warfare has on the children involved, STF selected the ongoing crisis in the Darfur region of Sudan as our primary issue. 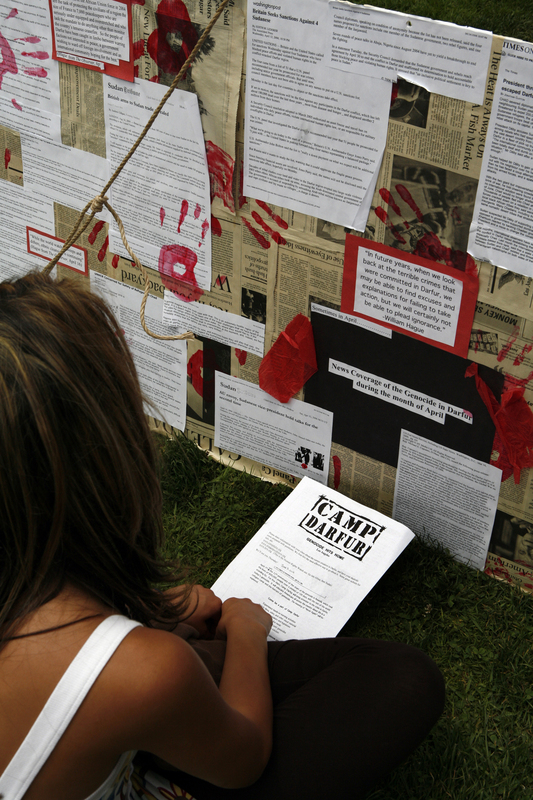 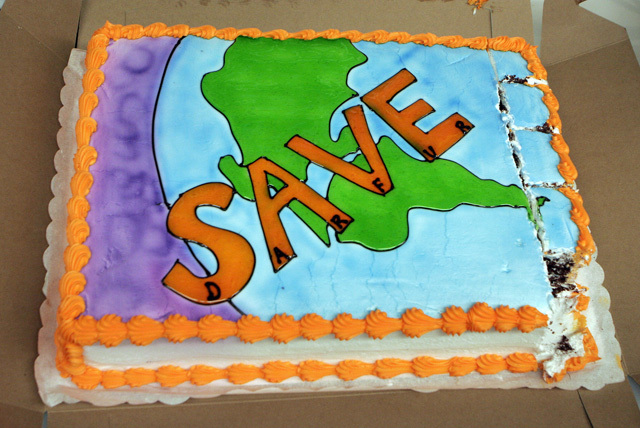 Throughout this two-year long campaign, the STF organized a variety of activities meant to raise awareness and encourage action.